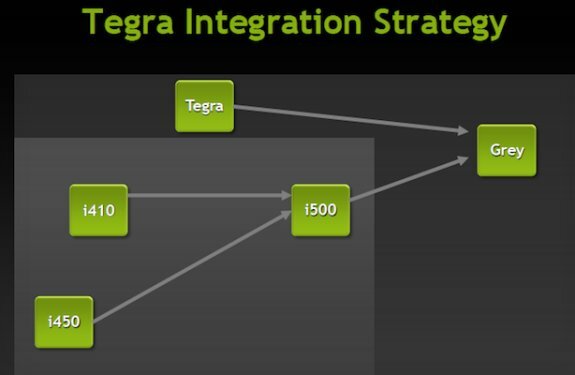 NVIDIA announced there are 30 Tegra 3 based smartphones on the way in 2012, double as much as the Tegra 2's design wins. NVIDIA GM Mike Rayfield also added that many of these phones will be less expensive, 13 of them will have a "transfer price" of under $300. While he didn't provide many details, he told investors that the i500 will have next-gen LTE speeds beyond what we've seen thus far, and it will be the modem paired with the company's next-gen Tegra processor for "Grey," the company's first integrated LTE silicon. We won't see Grey until next year, but Nvidia promises that its standalone Icera LTE technology will arrive later in 2012 with the aforementioned Icera 410.